Just the thought of living in a home with mold is enough to strike fear in the minds of most homeowners. Given the health risks and property damage that mold can cause, the experts at ServiceMaster Restore say it is important for homeowners to know how to identify mold on their property, learn where it thrives and understand the best ways to eliminate it from their homes. Recently, the company is unveiled the results of its 2016 ServiceMaster Restore Franchisee Mold Remediation Survey, in which more than 250 trained and experienced franchise owners shared their expertise about this dangerous and costly issue that affects homes and businesses across the country. According to the EPA, potential health effects associated with mold include allergic reactions, asthma and other respiratory complaints, as well as irritation to the eyes, skin, nose, throat and lungs. By living with mold, homeowners are exposed to these potential health risks. Don’t rely on retail products, such as bleaches that promise to kill mold, especially on porous surfaces. If mold is visible, don’t use a consumer vacuum to remove it. This includes wet/dry vacuums, which can actually make a mold issue even worse. Don’t ignore the problem. 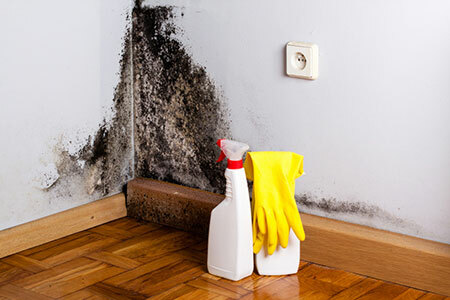 Signs of mold could indicate the presence of larger issues that may cause health risks. For more information, visit ServiceMasterRestore.com.